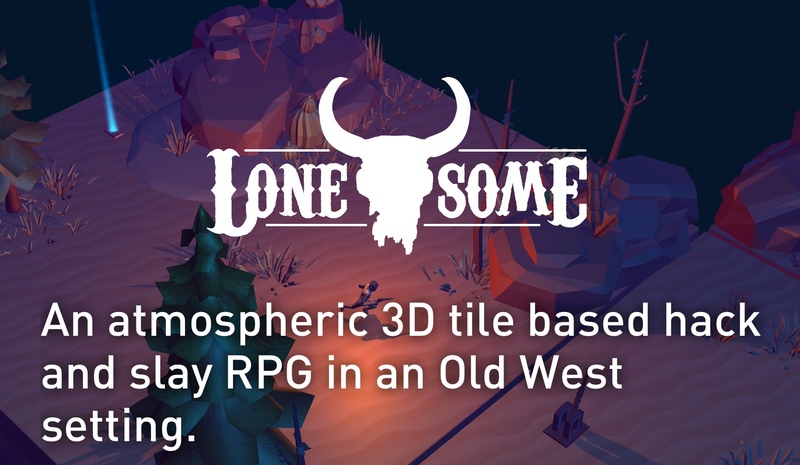 I had the luxury of playing Lonesome for my Indie Game Showcase. I was upset when it ended, because the game was that good and it drew me in. I cannot wait and hope that there is a full version of the game coming out. If you haven't played this game, you should really play it. Wow nice! Thank you for showing our game! Hope you enjoyed it! I loved it so much! It's a fun, polished demo and it's super promising. Very excited for where you'll take it in the future! Thank you for this awesome video! It is really well done! We are planning to go on Steam very soon! Regarding Russian... unfortunately we do not have a Russian translator. Yeah, thank you for lets playing our demo! Nice video! Loved the look of the game and had fun playing it too! I kept on trying to press WASD to move and the pathfinding made it so I was always walking into things which was slightly irritating. 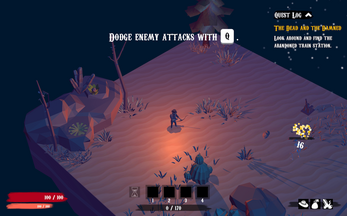 But the combat mechanics where on point (I found myself planning my abilities before I moved into the next section, trying to get all the enemies to line up so I could shoot through them all). The bastion like way that the ground becomes visible is cool and it really got me exploring every nook and cranny to see weather I could go down a different path. As a criticism, the NPC’s felt dull. I know this is just a demo, but I think with some good world building this could not only solve this, but really engage me with the game. Why am I helping these people etc. I know – early development now but I’m finding it had to criticise. I think I had a bug where I couldn’t see everything in my inventory properly. I was picking stuff up but couldn’t access it – this might have been because my inventory was full. Finally, the range of items was really good – I enjoyed looking though them and deciding what my best outfit would be. Well done peeps, looking forward to playing more! Thank you for your feedback. The controls of the game are not in the final state. There were already multiple discussions of clicking vs. WASD. Glad that you liked the combat! And thank you for the feedback regarding the NPCs. As you already mentioned yourself they are just placeholders, there is definitely some space for improvement. Hope to provide you with more content in the future! I can't wait for the full version. I enjoyed playing the demo, but I came across a small bug that caused me to get stuck on some structures. Anyhow I love the art style and the gameplay. Good to hear, that you liked it. Thanks for your feedback! Can you describe the bug you found a little more in detail? We would love to look into that. I did run into one pretty severe bug, but overall I enjoyed the general feel of the game. 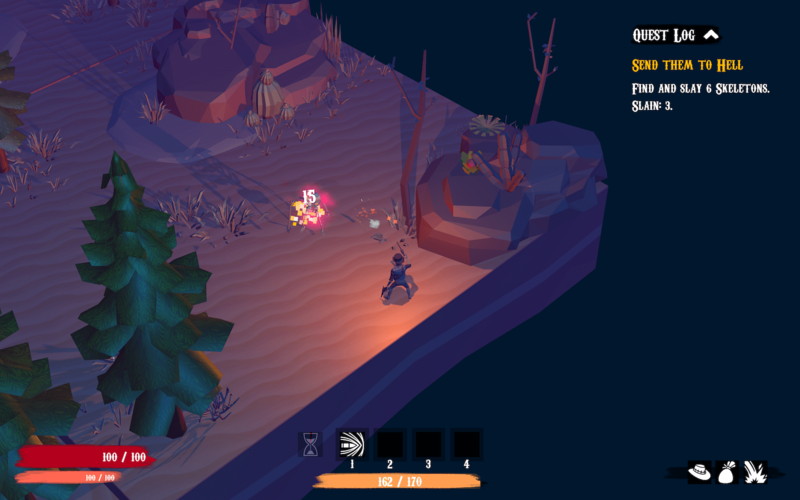 The rpg elements took me a little bit to get a grasp of, and the movement was a little strange at times due to only being able to use point and click for both movement and attacking, but this is a really good alpha and I look forward to seeing it with some more polish! Very sorry for the bug you encountered! We will have a look into it today and will hotfix it soon. 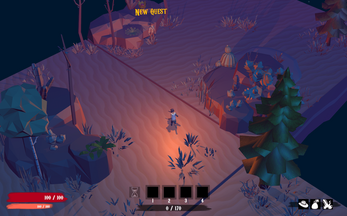 Lonesome still has a lot of bugs at this point unfortunately. We hope that enjoyed it anyways and got an idea of what we are trying to do with this game. Yeah, what a cool lets play! Thanks for checking out our demo! Awesome work! Wow! Loved that game, the graphics the gameplay and the story! keep it up guys! Thank you, glad to hear that the game is to your liking! We will consider participating. Great. I will be around to see how it goes.